Knott’s Berry Farm is billed as California’s original theme park! For over 100 years, this local theme park has been welcoming guests from all over the world through its gates. Knott’s Berry Farm is billed as California’s original theme park! 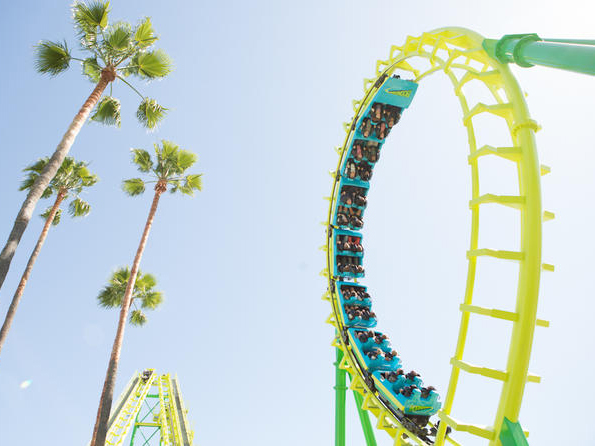 This well-known theme park in California comes only after the major players - Disneyland California, Universal Studios Hollywood and SeaWorld San Diego - in terms of popularity with guests visiting for a thrill-lead California holiday. 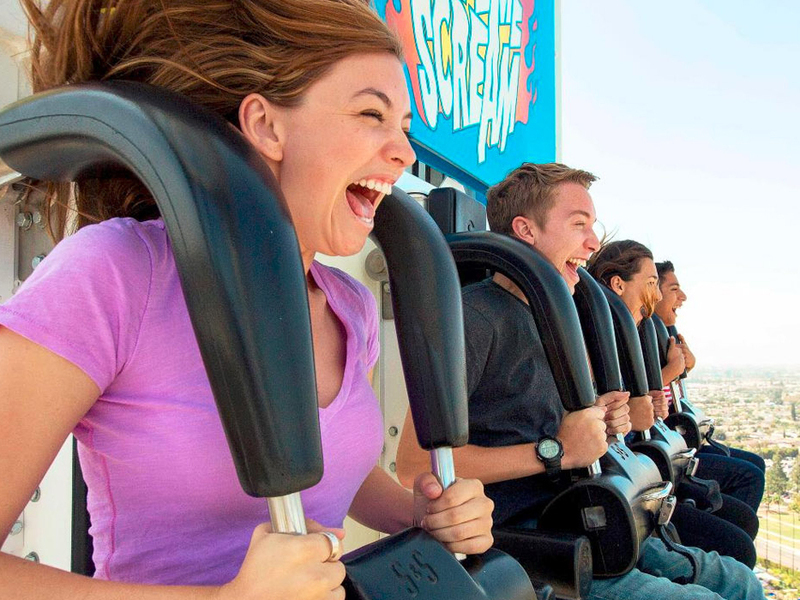 Located in the Buena Park area near to Los Angeles city and not far from Anaheim, home to Disneyland California, Knott’s Berry Farm is made up of 4 exciting themed areas - Ghost Town, Camp Snoopy, Fiesta Village and The Boardwalk - with more than 40 attractions. Knott Berry Farm Tickets can be purchased with or without transfers from LA and Anaheim, so don’t worry if you don’t have a car, it’s really easy to take a transfer from these bigger towns. The name Knott’s Berry Farm comes from the original use of the land, where a real berry farm once stood. The Knott family progressed from selling berries, berry preserves and pies to opening their own restaurant selling chicken dinners on the land. Soon after, the restaurant and farm became a real tourist draw and Mr Knott decided to build a replica Ghost Town to entertain visitors. As the attractions slowly grew, the family began to charge admission and the park grew into what it is today. 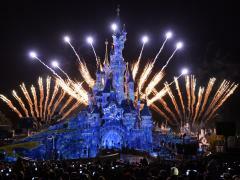 More than 6 million people visited the theme park last year, nearly 100 years on from the berry business! The Ghost Town area of the park and the chicken dinners still available in the park remain as a throwback to the park’s humble beginnings. The Ghost Town area is themed around a rustic old American town, where you can see glass-blowers, weavers and spinners carrying out their crafts in the same way they would have hundreds of years ago. Although not quite dating all the way back, there are still attractions in the park that will give you a sense of nostalgia. 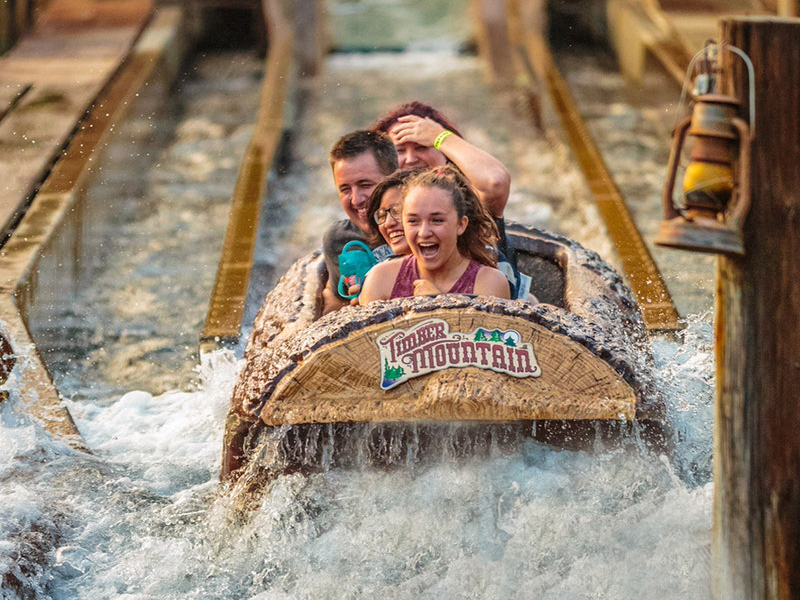 The Timber Mountain Log Ride, a 5-minute ride experience with a 42-foot drop originally opened at the park in 1969! 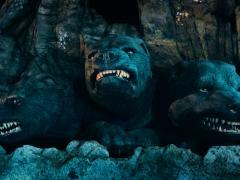 After a full refurbishment in 2013 though, it definitely fits in with the more modern attractions in the park. Of course, the park has also progressed a lot in the last 25 years and has seen a definite move in the direction of thrill rides. Some of the incredible attractions at Knott’s Berry Farm include the Silver Bullet, a western-theme inverted coaster with 60 seats, which you’ll also find in the Ghost Town area of the park. The ride is an exhilarating 2.5-minute experience with banked curves, spirals and a corkscrew spin that will leave your knees shaking when you disembark! 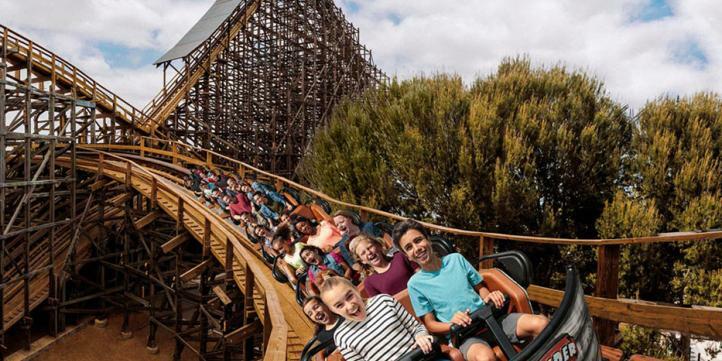 Other thrills in this area include the GhostRider, a wooden roller coaster featuring banked turns and speeds of up to 56mph, while families will enjoy the Calico Mine Ride, a fun train ride for all ages. Over in Fiesta Village, there are 3 major thrill attractions for adrenaline-seekers to enjoy and 1 coaster especially designed for younger ones with a taste for adventure! 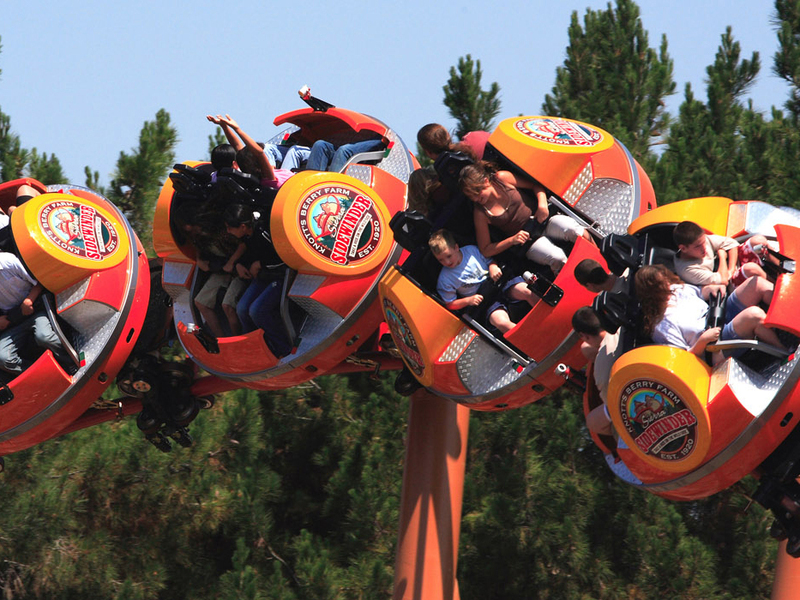 Montezooma’s Revenge launches guests through a full 360-degree loop before sending them to the ‘edge’ of the track, where the ride car suddenly falls backwards and does the same loop in reverse. Camp Snoopy caters for the smaller theme park-lovers in your party, with plenty of attractions suitable for all age groups and heights. As the name suggests, this area of the park is modeled on the cartoon Peanuts and its characters. Snoopy has been the park’s mascot for more than 35 years, but you can all see the loveable characters from the cartoon here. Little ones will love the rides in this area, which include a High Sierra Ferris Wheel that gives guests an amazing view over the park and the kiddy-coaster Sierra Sidewinder. 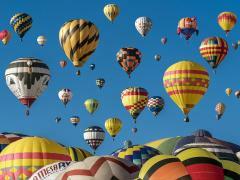 The Sierra Sidewinder has no inversions but still packs a thrill punch with speeds of 37mph and heights of 62ft. Adrenaline seekers will love the Boardwalk area of the park, home to the infamous Supreme Scream ride which opened in 1998. This turbo drop ride was the tallest ride of its kind in the world when it first opened at 312 feet tall. The free fall drop reaches speeds of 45mph, exposing guests to a G-force of 4 and a negative G-force of 1a - whatever that means, it sounds scary! If you’re looking for a theme park which is nostalgic and fun in equal measures, we could not recommend Knotts Berry Farm enough. 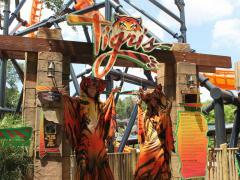 The whole family are guaranteed to find something they love at this big theme park with a local charm. 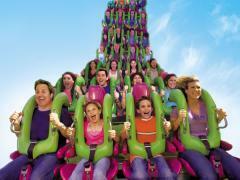 To buy Knott’s Berry Farm tickets with or without transfers from LA and Anaheim, click here.